The Wheelchair Comfy Seat adds seating comfort to a standard wheelchair seat. 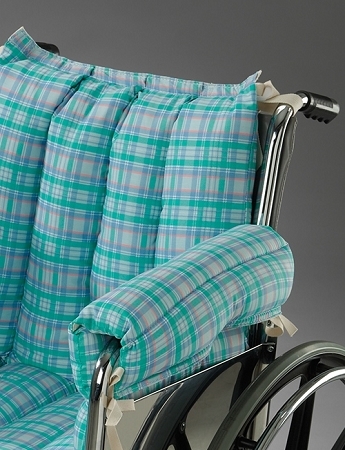 Wheelchair users will find these soft cushions cover openings in a wheelchair to provide increased comfort. 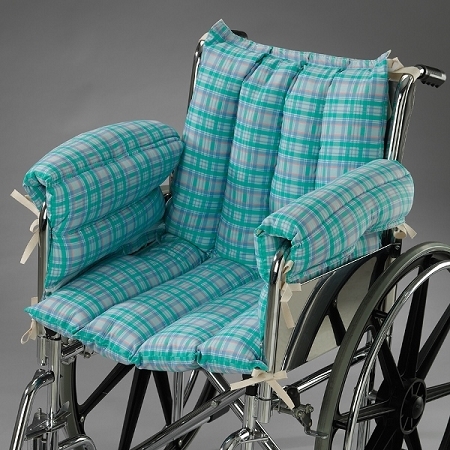 The Wheelchair Comfy Seat cushions are filled with soft, micro-fiber filling for providing seat and back comfort. 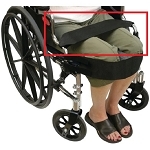 The cushions easily attach to wheelchair seat and backrest with ties and feature reinforced openings that allow the use of a positioning belt. The seat cushion measures 20 inches wide, 18 inches deep, the back cushion measures 20 inches wide, 17 inches high, and the side panels measure 15 inches deep, 14 inches high. 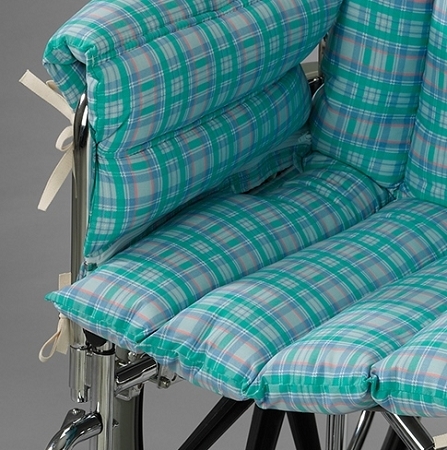 Wheelchair Comfy Seat cushions are machine washable, and meet CA #117 flame retardancy standards. Q: WHAT'S INSIDE THE PAD IS IT GEL OR PADDING? Q: what is the covering material on this possy wheelchair comfy seat? A: Fits: Most standard wheelchairs. It fits t over the backrest and seat.